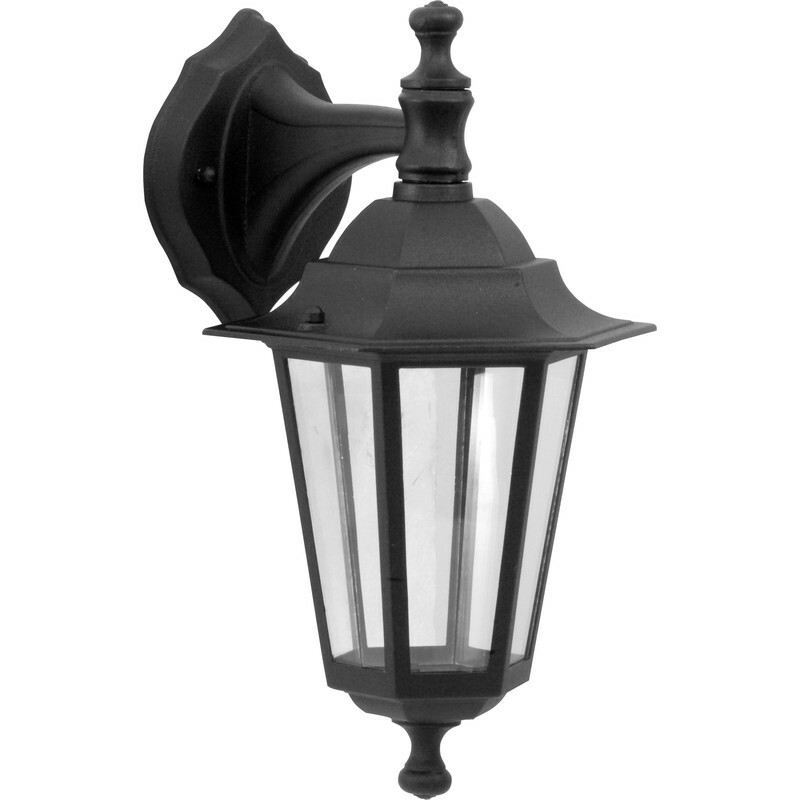 Black finish die cast aluminium outdoor wall downlight lantern with glass panels. Height 370mm, projection 250mm. 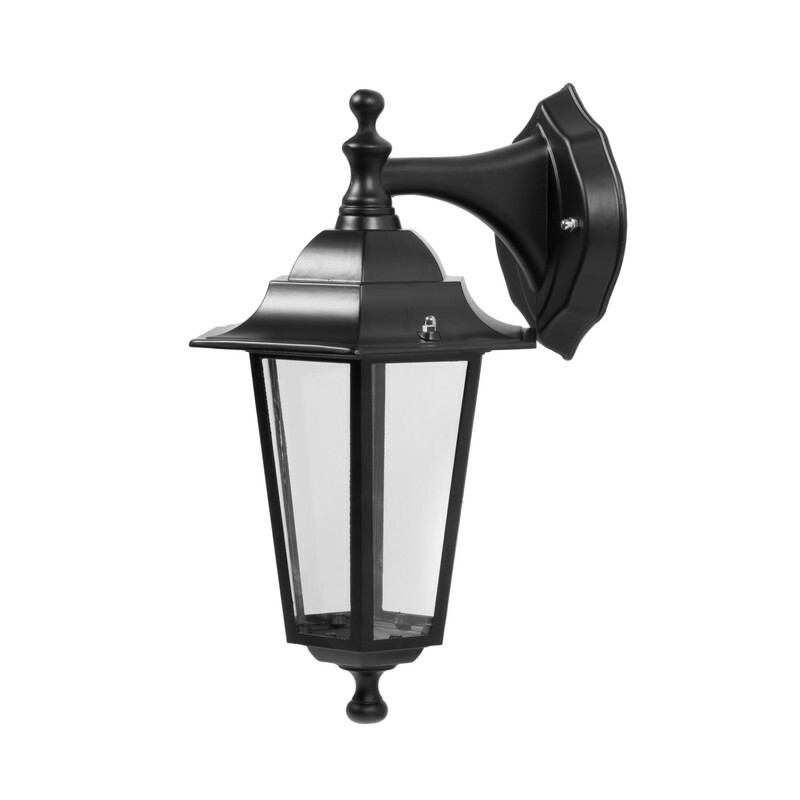 IP33 rated. Class 1 insulated. 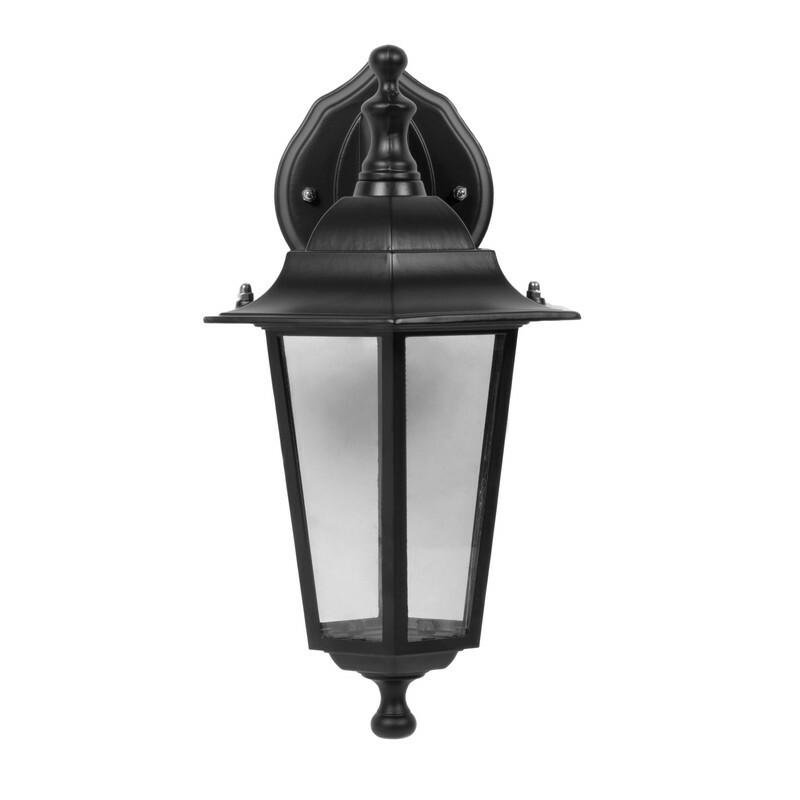 This luminaire is compatible with bulbs of the energy classes A++ to E.
Victorian Style Hanging Lantern Black 60W ES is rated 4.5 out of 5 by 11. 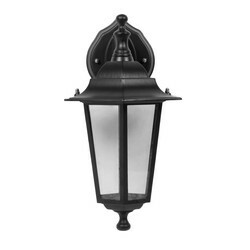 Rated 5 out of 5 by Tech Author from Looks really good Very pretty lamp, excellent for an olde worlde theme. Rated 2 out of 5 by Gazmoo from Like how they look For the price I suppose they're ok; I ordered two and one was damaged which was very quickly sorted...thank you. Quality not great; use some grease on the threads, change the 'hard' grommet for a compliant one, don't over tighten anything and spray overall with WD40. Rated 5 out of 5 by tigger9999 from great value for money simple to fit - even I managed it in 30 minutes! Rated 4 out of 5 by Fitnessfreak from Does the job I bought this to replace an old one that was cracked and hanging loose off the wall, I didn't need PIR as it's controlled by a sensor. I was a bit disappointed as it looks cheaper than the ones I've got elsewhere, but then it didn't cost much and was cheaper than other places I looked so no complaints. Rated 4 out of 5 by Simon12345 from Worth the money. Happy with product but one of glass panels broken. Good job it comes with a spare so can't complain, until I get one with more than one broken.